Home » Credit » Does Debt Consolidation Work? When interest rates are low, debt consolidation can be an attractive option to really grab the bull by the horns when attacking your debt. Whether or not it really works will depend not only on decisions made during consolidation, but also on what you do afterward. A debt consolidation program or loan is a process where you take multiple debts at multiple interest rates, and consolidate them down to one easy payment. A company lends you the money to pay off your other debts, and you focus all of your efforts on the one payment from the consolidation company. Often this can lower your average interest rate and save you money over the long term. If done properly, a consolidation can bring welcome relief from high interest rates. The resulting reduction in monthly payments can be a major stress reliever if your money is really tight, and it would be a good idea to apply the difference to either an emergency fund or a debt snowball. 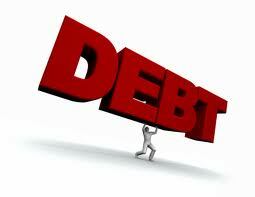 Debt consolidation can also make your debt easier to manage because you only have one payment to make every month. You don’t need to worry about when you get paid, which creditor to pay next, or which minimum payment to add extra money to. You have one payment, one debt, and one focus. In the long run, debt consolidation can save you thousands of dollars in interest accrued. For example, a $10,000 debt carried over five years at 20% would cost $14,880 in interest. If the rate were reduced by just 5%, you could save nearly $5,000 in interest alone over those five years. That’s a lot of money to snowball and pay down your debt with! Unfortunately, a trap is waiting for you on the other side of the door after consolidation. Take care not to fall in to it, like so many others have before you! After combining your credit cards and other consumer debt in to one tidy little package, you’ve suddenly found yourself in possession of a ton of available credit with zero balances. Do you resist the urge, or do you cave in? While you may want to keep the accounts open in case of emergency (and for the sake of your credit score), consider freezing the cards in a block of ice in your freezer, or at the very least locking them in a safe. If you don’t control your ability to spend on the cards, you can find yourself building new balances on the cards. As soon as you start building those balances up again, you’ll be facing the same situation that made you get that consolidation loan in the first place. The only problem is you will have double the debt load: you will owe your original debts on the consolidation loan and your new debts on your credit cards. This can be devastating. The method used for consolidation plays a big part in a successful outcome as well, and each comes with its own benefits and weaknesses. If you take out a second mortgage or HELOC and things go south, you risk losing your home. A less catastrophic situation would be transferring balances to a credit card with a 0% introductory rate and then failing to pay it off before the introductory period expires. But remember, if you can’t keep yourself from spending money you don’t have, debt consolidation will only make your situation worse. Your debts will be reduced temporarily, and then you will spend your way back into trouble – trouble that could cost you your home or force you to file for bankruptcy. Debt consolidation only works if you are reducing your overall balance in the process. For those who are actively fighting their debt, the payment reduction and interest savings can act as a snowball on top of a snowball. Spenders, however, risk setting themselves up for failure if they don’t change their views on debt and actively change their habits after a consolidation.